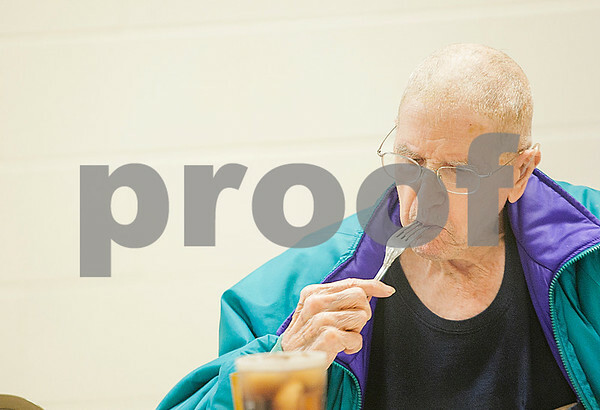 DeKalb resident Jesse Cole, 92, eats his lunch in the DeKalb Dining Hall in the back of the Senior Center in DeKalb on January 16, 2015. VAC Senior Lunch is served Monday through Friday, at 11:30 a.m. for a $3.50 donation for seniors 60 and older. Cole has been coming here for lunch for about 20 years.